What a transition the past few weeks have been. We have finally made ourselves at home in the Kingdom of Fife. After more than twenty four hours of taxis, airports and flights, we arrived to a very warm Scottish welcome in the tiny village of Kingsbarns. 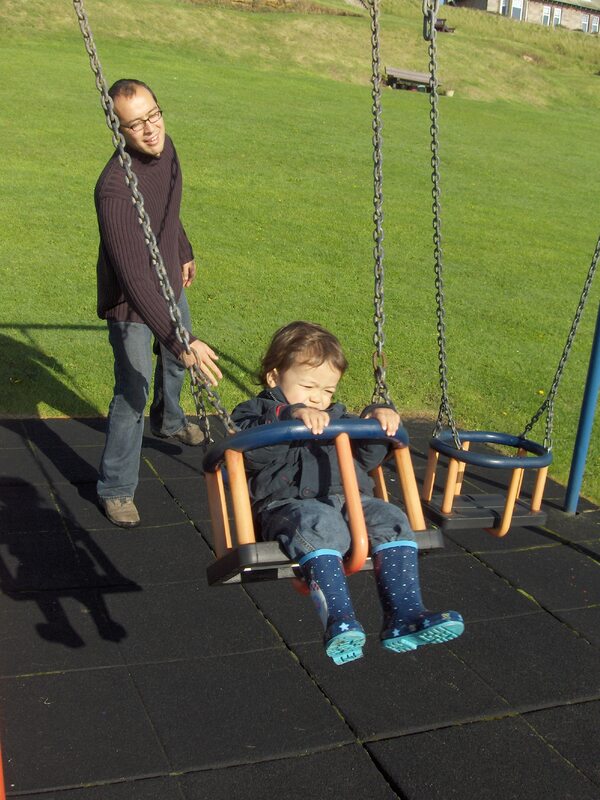 Enroute, Kazuo finally made the acquaintance of his great-grandmother in Dublin. 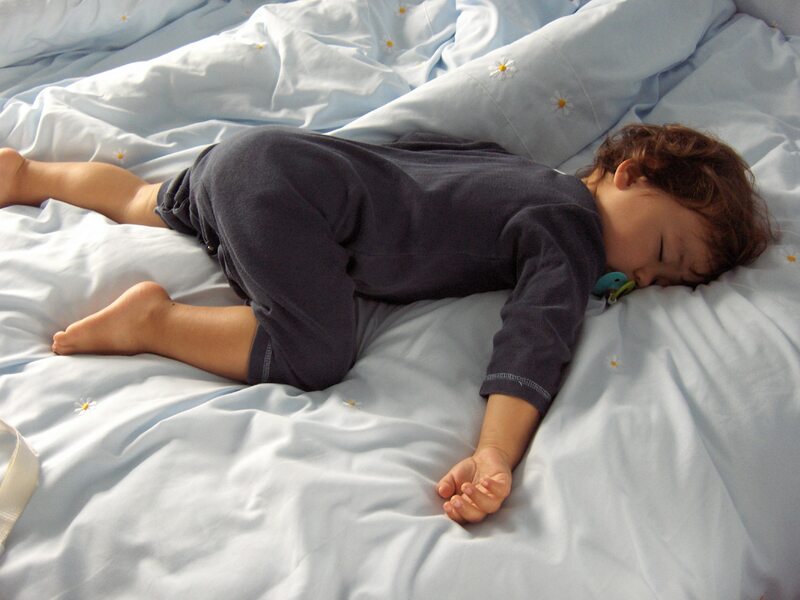 He was a tired little boy (and still in his PJ top after sleeping until touch-down on the trans-Atlantic flight) and understandably a little bemused, but he talked about ‘grey-ganma’ for the remainder of the week. The next morning we tried all we could to rouse our little tiredy-pop, but he snoozed on for more than thirteen hours and pretty much reset his little circadian rhythms to within a couple of hours of the local time. 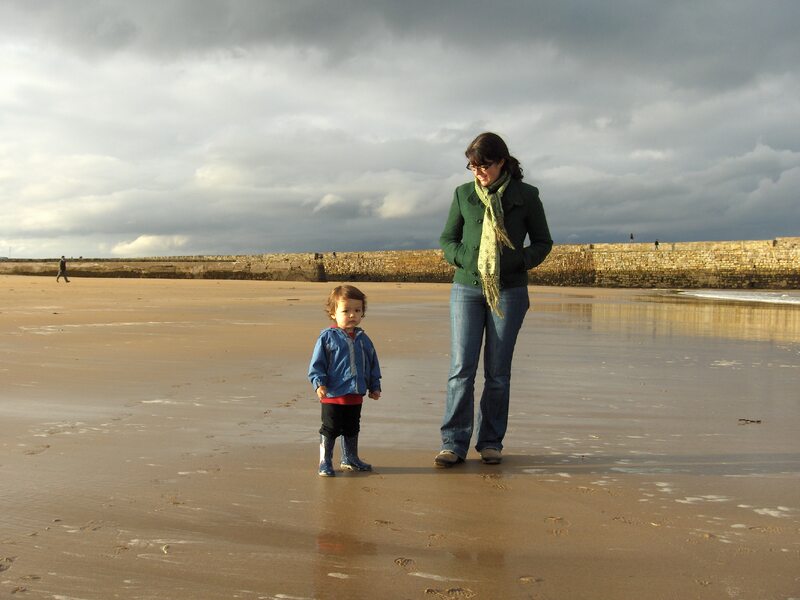 After picking up the keys to our new house and spending much of the day in St Andrews getting essential items like mobile phones, we finally made it down to the lovely beach at Kingsbarns in the dying light. Kazuo, who had never seen the sea before, finally got a feel for the beach. 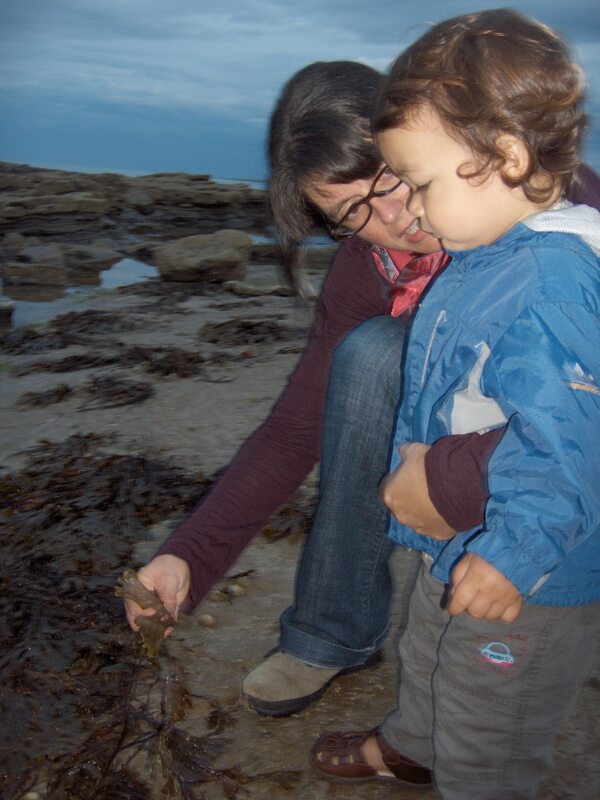 He was not much taken with the sand in his sandals, and could not be persuaded to touch the seaweed – but he was really happy to see the sea. Akira returned on the weekend with grandpa and our dispersed belongings and we set about making ourselves at home in our new house. 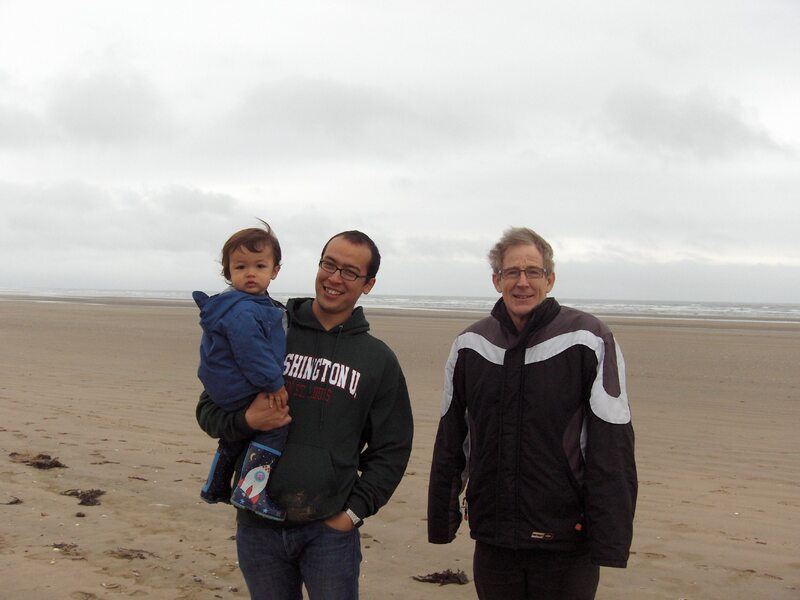 We took a blustery morning outing to St Andrews where we showed grandpa the sights and gave Kazuo another shot at the long sands of the West Sands beach. The day before Akira started his new job we ventured south to the charming villages of the East Neuk. 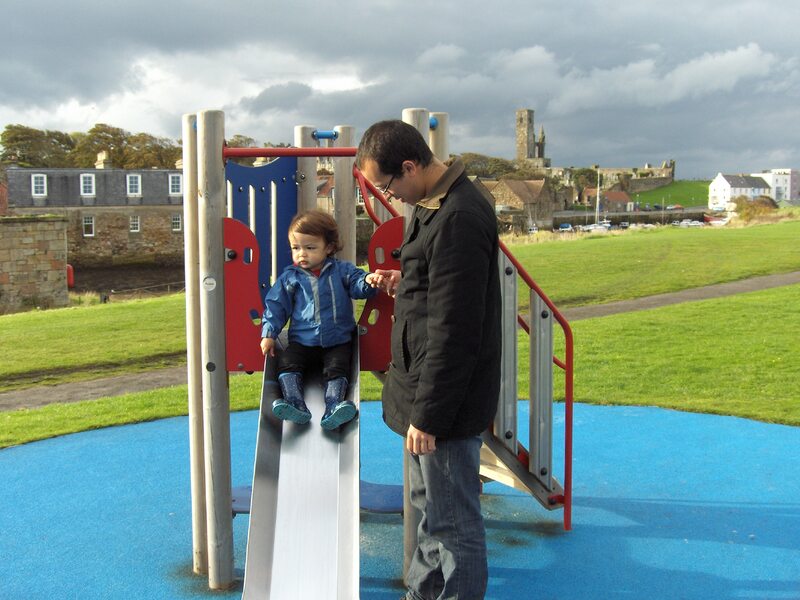 A thick fog covered the land near Anstruther, but Crail was sunny and beautiful… …complete with a rusty but very serviceable playground for the wee tot. We headed back to the Best Fish and Chip Shop in Scotland in Anstruther for lunch – we are still making up for two and a half years without a local chippie! The following weekend gave us a chance to collect our new/old Honda in Dundee and although the weather was rather rainy and variable, a trip to the local farm shop yielded some tasty treats on Sunday, and the afternoon was perfect for another trip to the beach at East Sands. 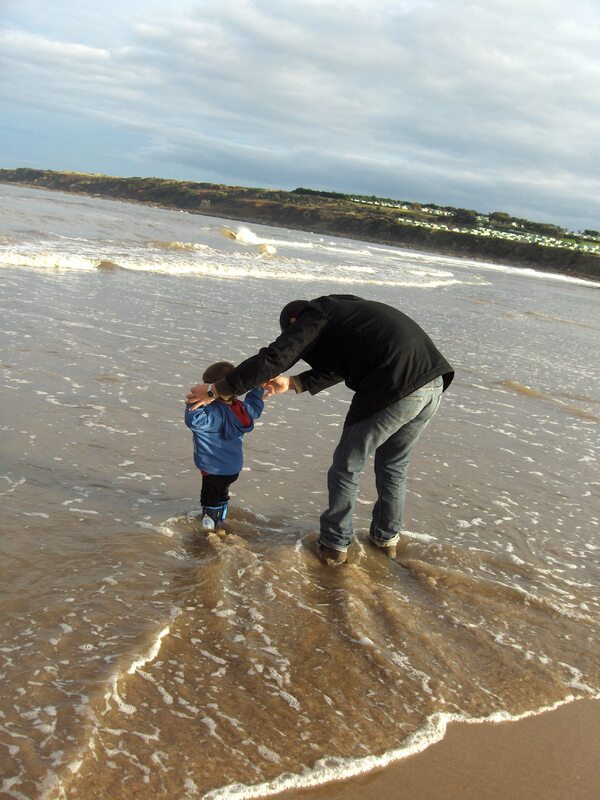 Kazuo has discovered that wellies are a great innovation and that the waves are loads of fun. While the playgrounds here might not have the variety of well-cared for equipment we had become accustomed to in the Lou, how many in Missouri could boast this ancient and moody backdrop? Kazuo and I stayed at home for most of Akira’s first week at work while I waited for confirmation that my driver’s licence was being renewed. 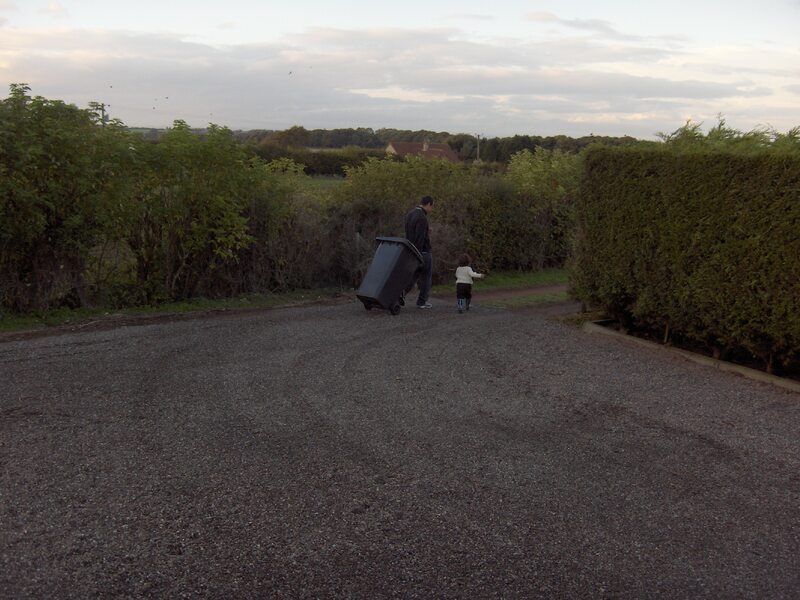 The long walk down the drive gives Kaz lots of opportunity for diversion – berries, sticks, stones, bugs, mushrooms – and we are enjoying the daily delights of our new rural outlook. 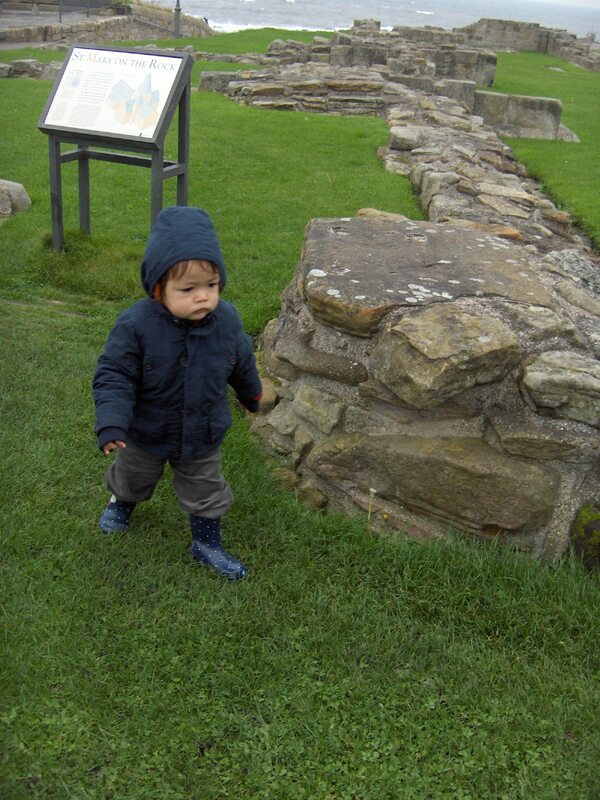 This past weekend was cooler and blustery, but we made some happy outings, including Kazuo’s first encounter with ancient monuments at St Andrews’ Cathedral. Well…a long-winded catch-up from me, but it has been an eventful few weeks and although we still have a little fine tuning (like getting me a paid job…) and we are feeling the solitude of being in a remote area where we are yet to make friends…having left a wonderful community behind us…I have a sense that we have ‘come home’ and it is a very happy feeling. Wow, it appears the Eason/O’Connor family has relocated to a thoroughly beautiful place. Little Kaz-man appears to be settling in nicely. Miss you guys and we hope to visit someday. LOVE the pics, Fiona! How gorgeous everything looks! I love the pic of Kazuo and the sea-weed. You can almost read his thoughts: “no way, mom!” Love seeing the pictures of your new landscape and what the world looks like for you guys now. We’re loving California, but miss you bunches! Thanks Tarah, it is indeed rather charming and we are loving the landscape. 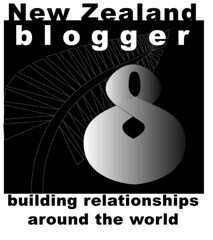 I am so glad you guys are settling into your little corner of the globe too! We are SO looking forward to seeing you, when can you come? So happy you guys made it! The pics are wonderful! Can’t wait to read/see more! 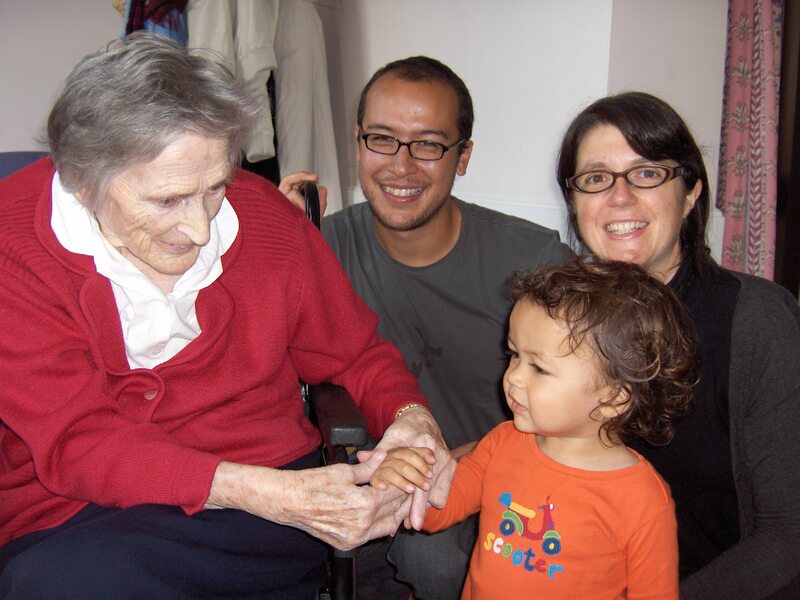 I like the Pictures of Kazuo and Grandmother ( Grey Gamma). I went to Ireland yesterday and we Celebrated ( Grey Gamma) 90th birthday and everyone is there. 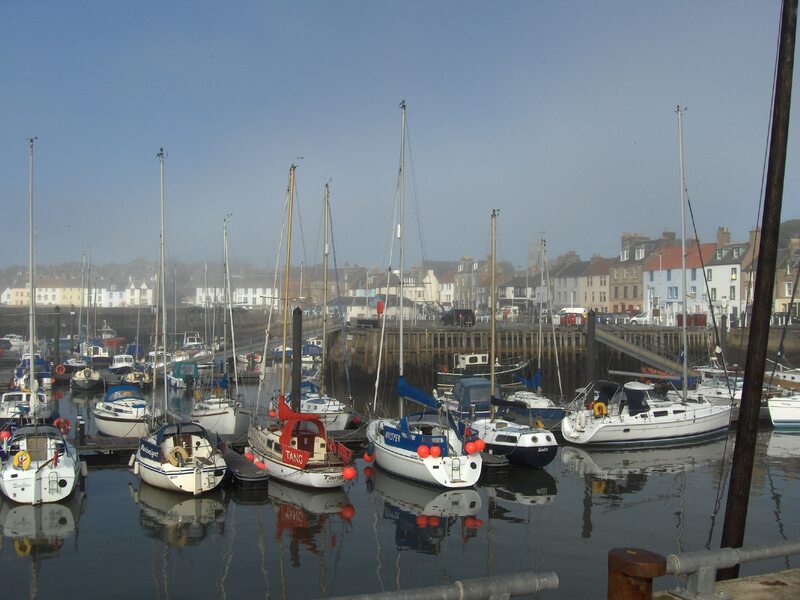 When I go to Scotland on Christmas make sure that we have a Fish and Chips in Anstruther. Hey Kenji, thanks for your comment! We loved visiting your Grandmother, and were sorry not to make it yesterday, so I hope you all had a great time. 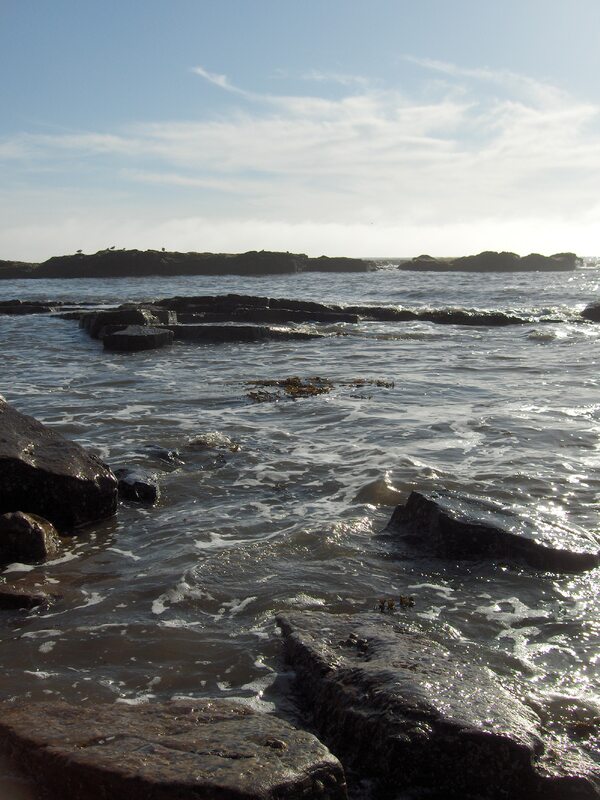 We will DEFINITELY have Anstruther Fish and Chips in December…so looking forward to seeing you!